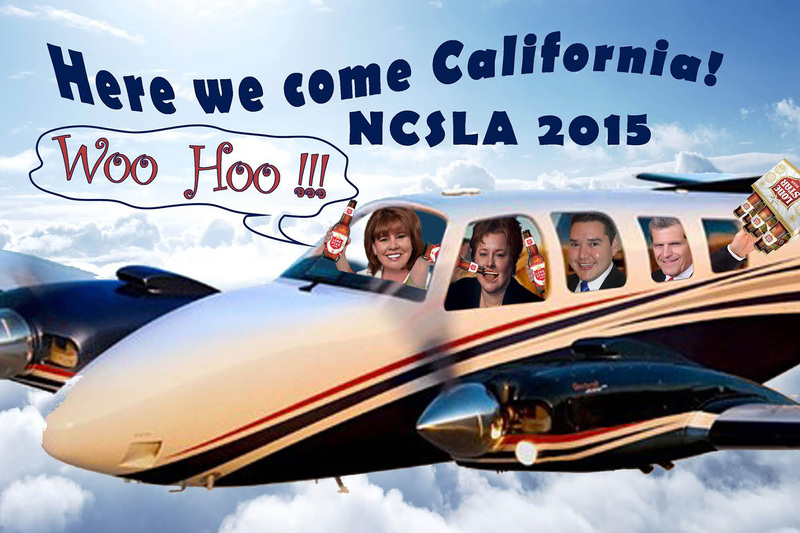 Texas Alcoholic Beverage Commission Licensing Director Amy Harrison helped oversee the creation of a controversial flyer depicting agency honchos partying during out-of-state junkets. Pictured second from left is liquor lobbyist Dewey Brackin. Next to him, in the center, is Amy Harrison, licensing director at the Texas Alcoholic Beverage Commission. 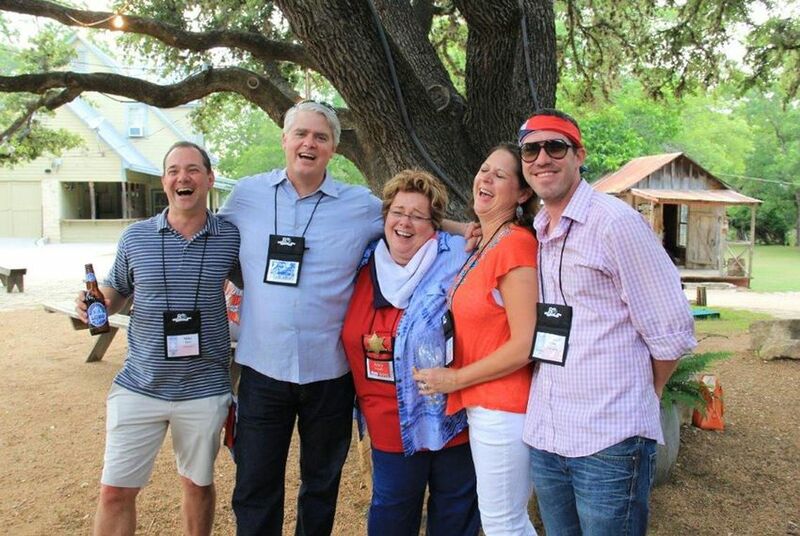 The photo was taken in San Antonio at a conference of the National Conference of State Liquor Administrators. Brackin forwarded the photo to Harrison with the caption, "Feeling no pain ..."
Licensing Director Amy Harrison is the seventh official out at the Texas Alcoholic Beverage Commission since April. TABC spokesman Chris Porter said Friday Harrison "separated" from the agency Wednesday. Jo Ann Joseph, previously the deputy director of licensing, will act as licensing director until a decision is made about Harrison's permanent replacement, Porter said. Harrison helped oversee the creation of a controversial flyer depicting agency honchos partying during out-of-state junkets. Her departure comes less than a week after the acting executive director abruptly quit, saying he did not want to participate in the "termination" of Harrison. The TABC has seen a spate of departures since The Texas Tribune began reporting a series of stories about the agency, including lavish trips officials took to out-of-state resorts, questionable use of peace officer status by agency brass, and failures to accurately maintain records of state-owned vehicles. Gov. Greg Abbott tapped Lilly to clean up the agency’s mess. And on Tuesday, a decorated military officer and practicing lawyer, Adrian Bentley Nettles, was picked to head TABC after the acting executive director’s departure.